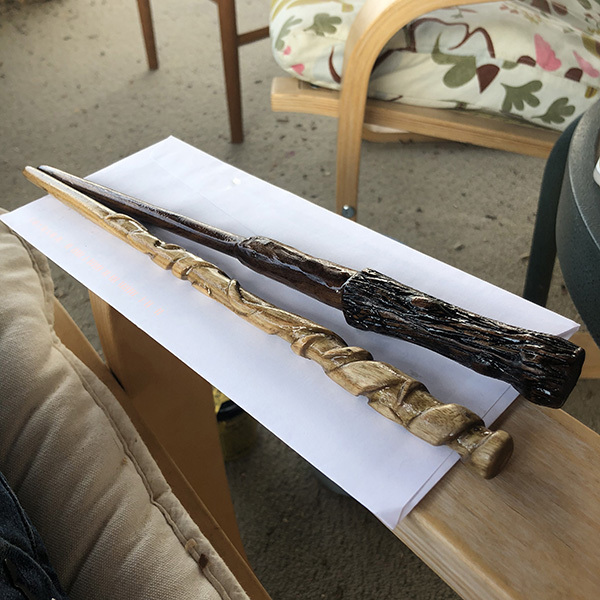 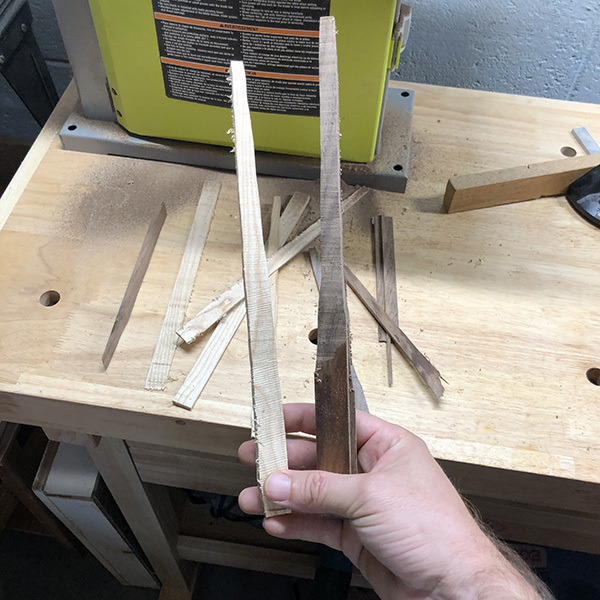 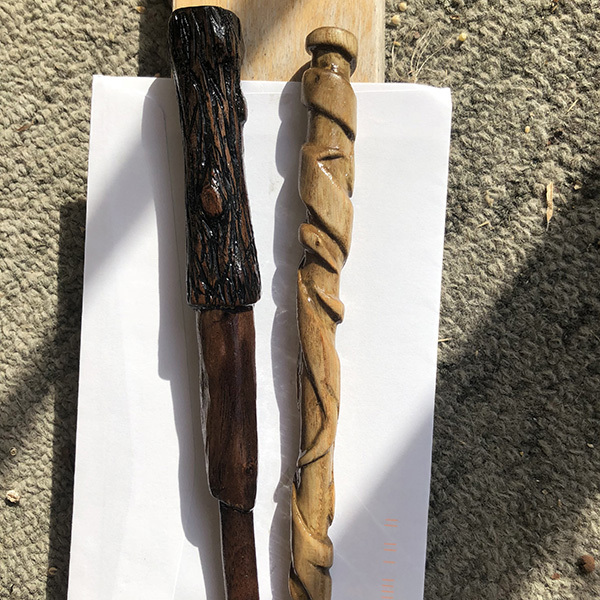 I made these wands for a couple of burgeoning young wizards. 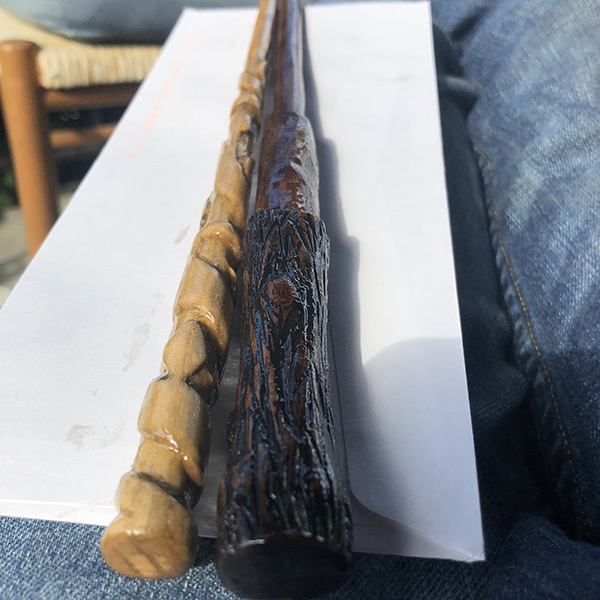 Harry’s is made from walnut, while Hermione’s is ash. 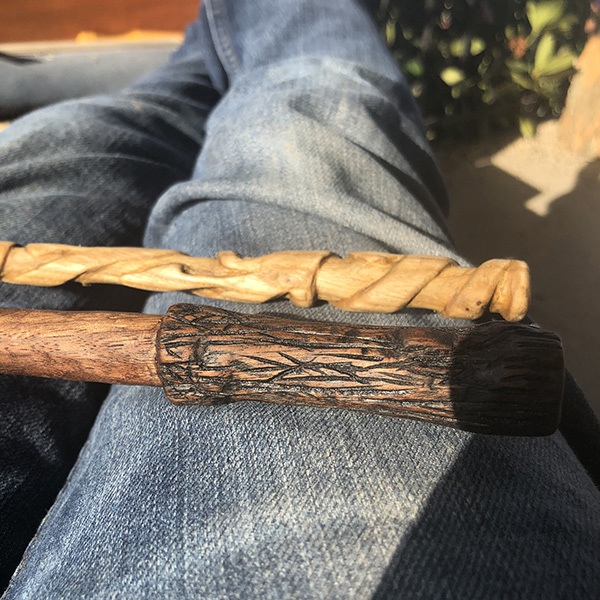 Carved by hand. 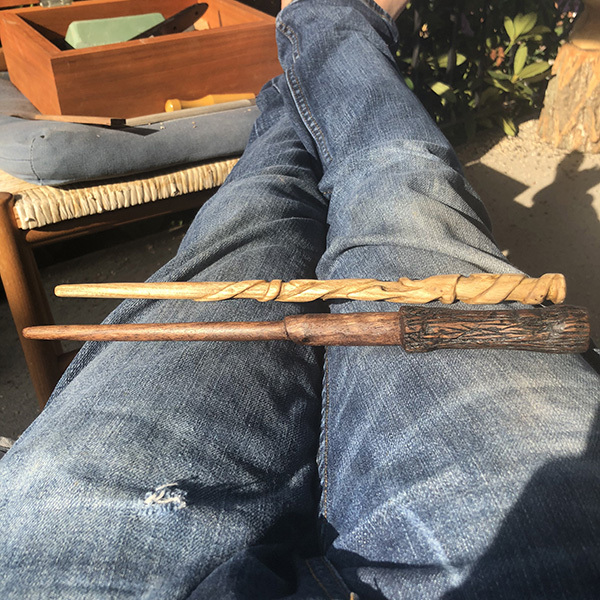 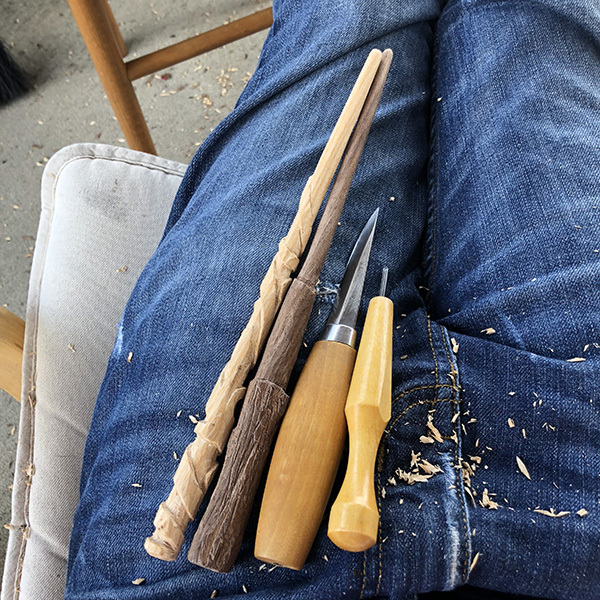 Nice cool morning listening to the birds while whittling a wand for a little Hermione. 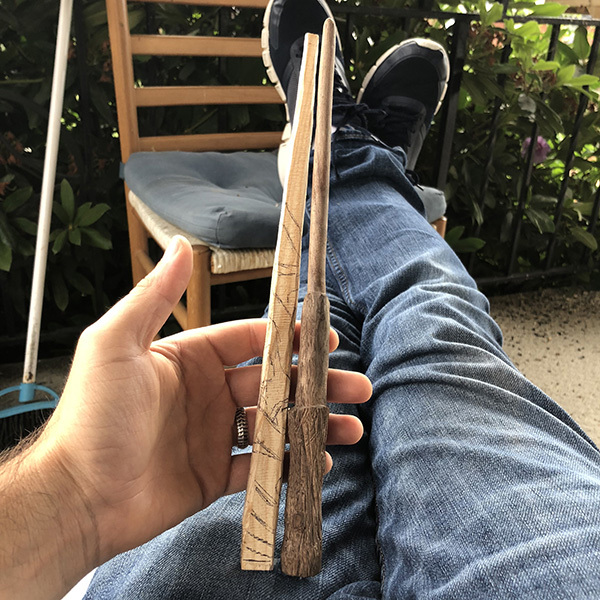 Not pictured: our squirrel friend “Leeeroy Jenkins” who was chilling with me before I got the video.